In fact, it’s actually some cats’ seemingly ‘Unadoptable’ qualities that make them the perfect match for someone looking for something special. We tell the story of three of these cats and owners, all of whom found their perfect match. 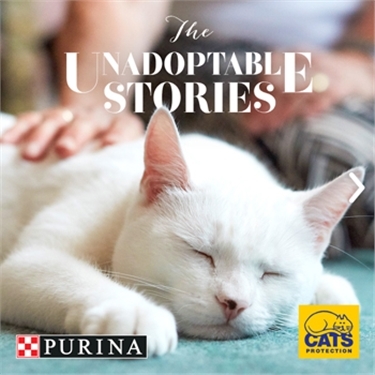 Read ‘The Unadoptable Stories’ below. The campaign will be visible across social platforms and media from 20 August and on 7 September will also have in-store activation in selected Sainsbury’s stores for one day. The full list of 70 stores is available at the end of this article. Please pop in to find out why no cat is unadoptable and pick up a money off coupon.